Clinical trials and research are a very involved and often lengthy process with formalities and regulations that should be adhered to. There are questions over the transparency of clinical research data from the start of the initial process of registration, informed consent, clinical outcomes and to where approval is given by post marketing and publication. These impacts suggested have manifested itself in the form of fraud, misconduct, selective reporting, bias and consequently had other effects to those taking approved drugs; some resulting in fatalities. Access to research data has also been difficult to obtain from those involved in the clinical trials such as patients and even researchers whom would be interested in the post marketing phase and pharmaceutical analysis. Evidence is presented with data extracted from credible sources that highlight the concerns in registration, informed consent and clinical research outcomes and how they are reported with recent example of how opioids misuse has ended up as a serious issue as a consequence of non-transparency. 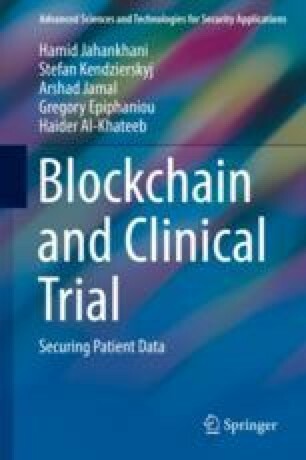 This Chapter suggests a theoretical model to propose how blockchain could present a more transparent and secure method to tackle the issues mentioned, with utilising blockchain as the mechanism/framework for clinical research institutions, regulation and non-regulation bodies, pharmaceutical organisations, drug manufacturers/suppliers and patients.